Nautical Ventures reached out to us on restoring a used 26′ Hurricane located in Dania Beach, FL. This 26' Hurricane was one of Nautical Ventures consignment boats that had been sitting on there lot for over a year. Due to a lack luster appearance, this boat was not selling. A few short weeks after the completion of the Glidecoat Top Coating Kit application, this boat finally sold! 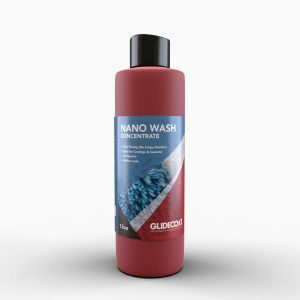 Undoubtably it was due to the greatly improved gloss and shine provided by Glidecoat's ceramic coating. Selling a used boat can be a tough task, especially when the boat is not in good shape. 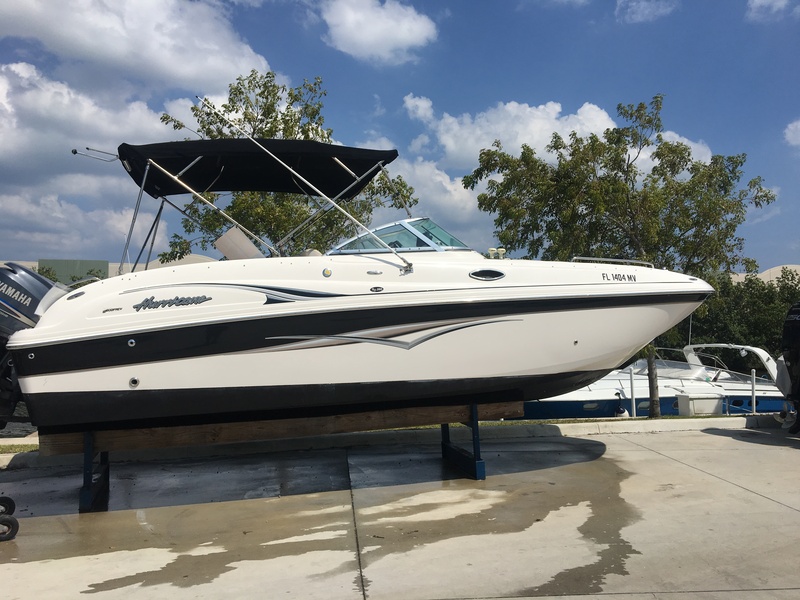 Both the owner of the boat and Nautical Ventures were motivated to sell this 26' Hurricane, and that's where Glidecoat comes in! The challenge was to take this 2011 Hurricane and restore showroom finish with glossy finish. 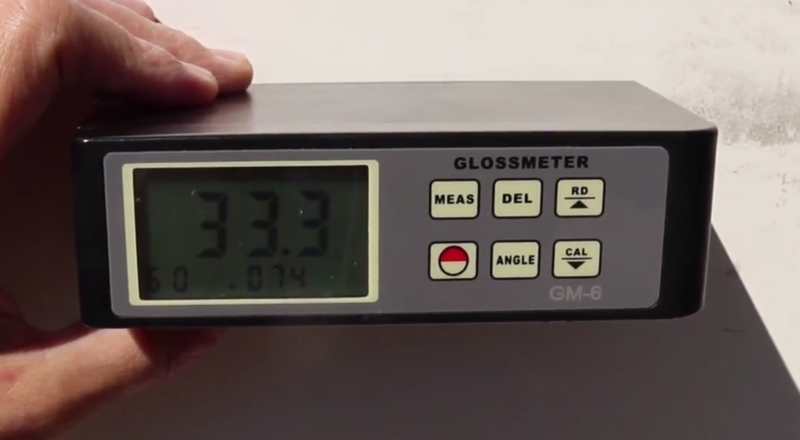 Gloss meter reading before the Glidecoat Application process. 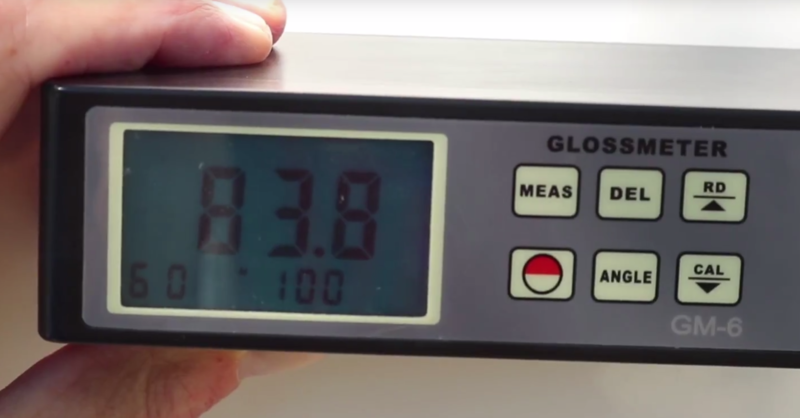 Gloss meter reading after applying Glidecoat ceramic coating! 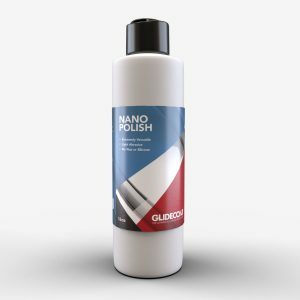 Improving the gloss on 15 year gel coat by over 60%. 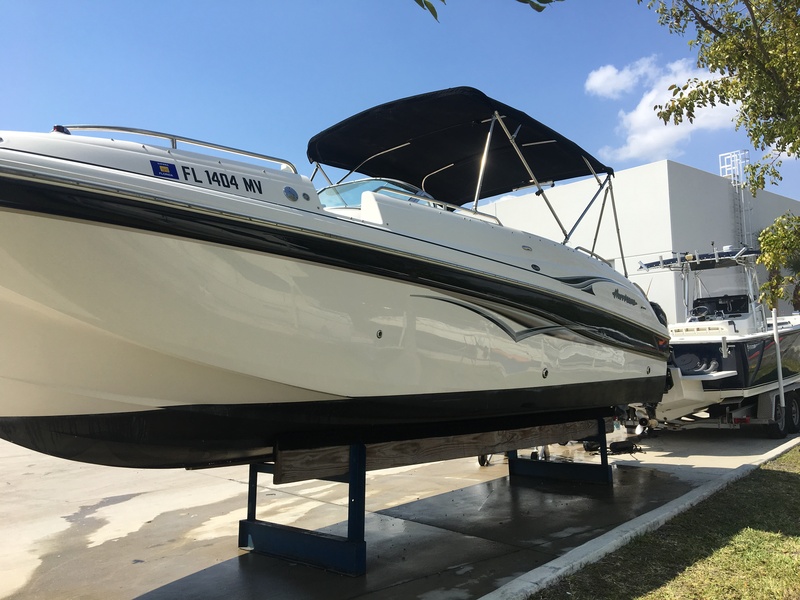 With proper preparation and applying the Top Coating Kit, your boat can be restored back to showroom finish. As Christian illustrated with the Gloss Meter Reading, the black stripe increased from 29.6 to 93.9 after the process. As a point of reference, brand new gel coat readings can render between 82-88. 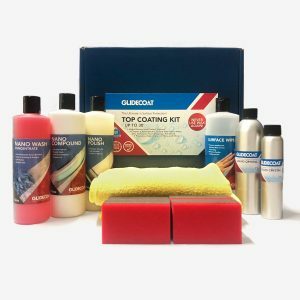 Our coating will last up to 18 months here in South Florida and typically two seasons up north. The boat looked so good after the Glidecoat application, the boat sold shortly after! 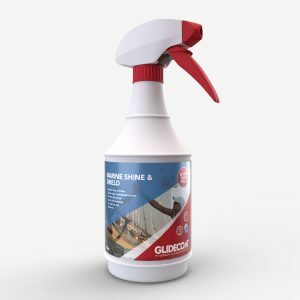 Glidecoat creates a hydrophobic surface making maintenance a breeze!